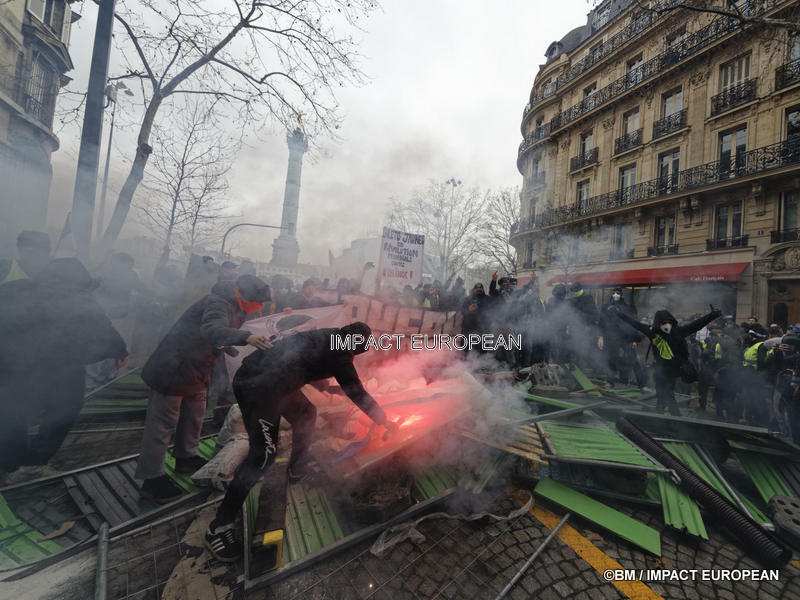 One eleventh Saturday of demonstrations marked by clashes in Paris and in several big cities. The mobilization does not weaken, being maintained like last Saturday. 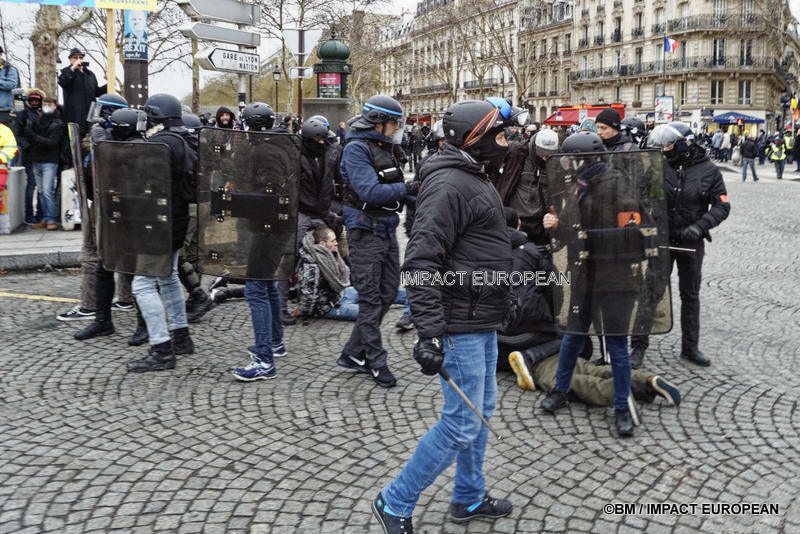 It was the more big demonstration besides of center–is France, in Dijon where 2500 “yellow waistcoats” ravelled before clashes do not burst in the end of the afternoon, one learned near the prefecture. 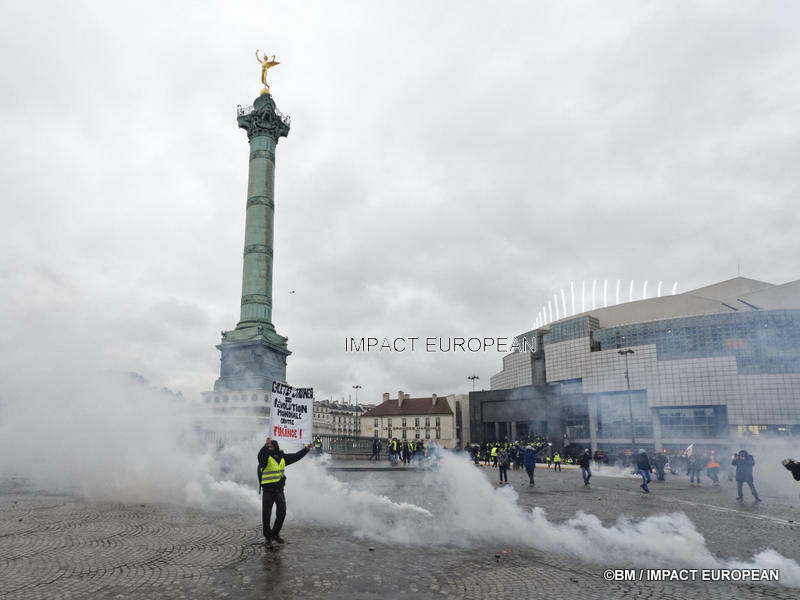 According to this one, demonstrators drew from the “mortars” and fires from artifices in the direction of the police, which retorted by tear gases with the accesses of the Markets, in the very–center of the city, not far from the prefecture. 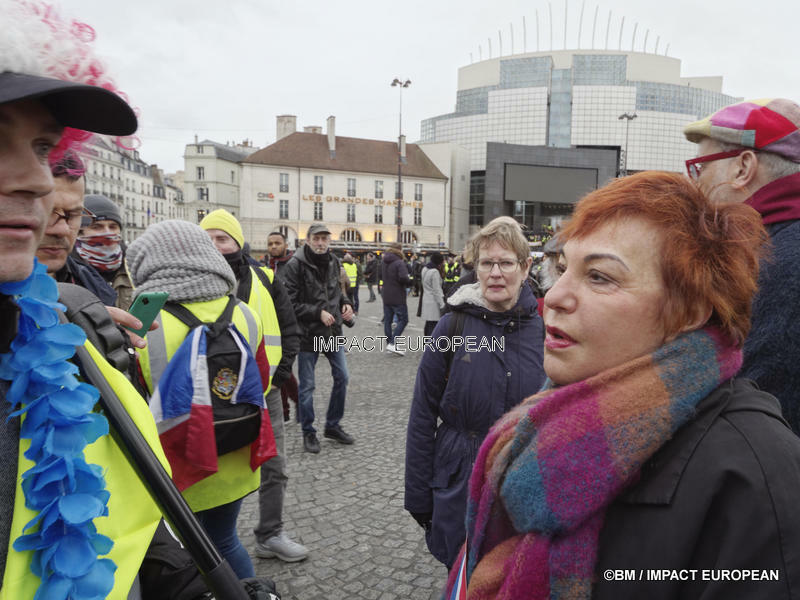 In Montpellier, some 1500 demonstrators ravelled in the downtown area, noted a journalist of AFP, in particular returning to homage to the yellow waistcoats police victims of violence. 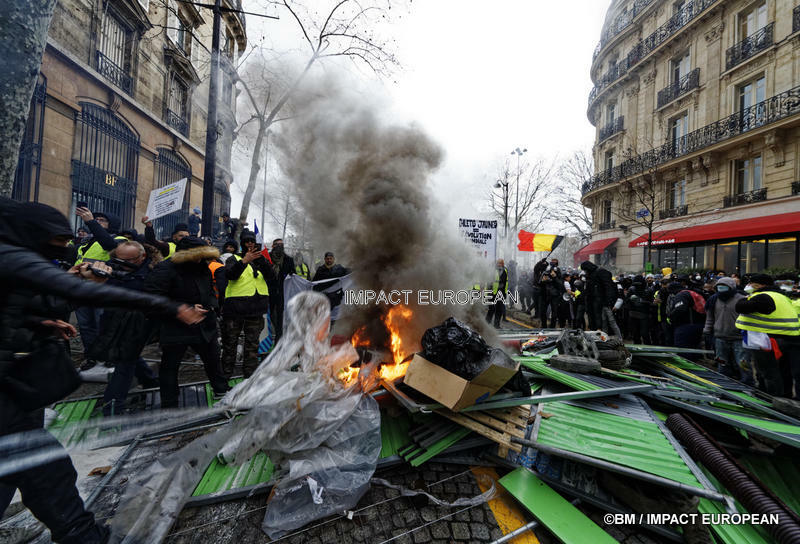 Incidents burst around 17:00 in front of the prefecture, where the police tried to push back the demonstrators with fountains, behind the grids of the building. 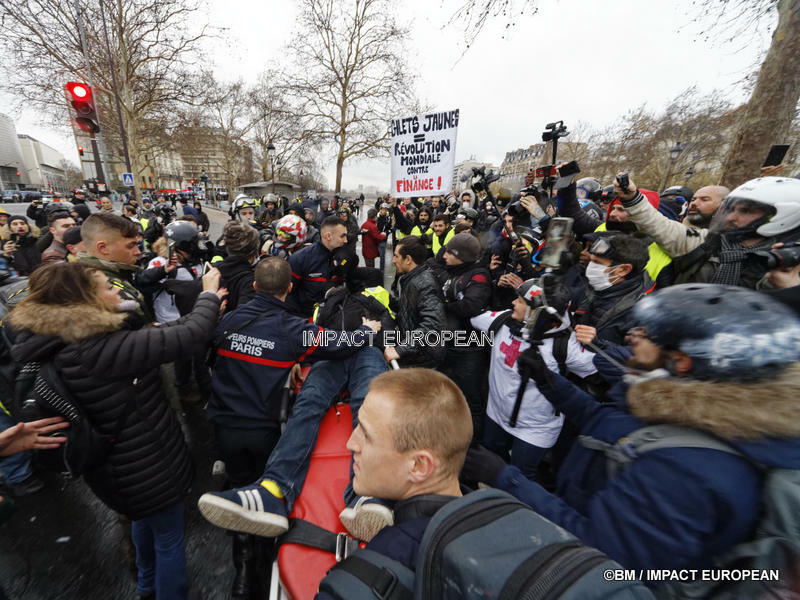 The demonstrators launched quills and bottles, and a police officer was wounded a notch by a “jet of pyrotechnical machine”, the prefecture specified, which mentions an interpellation. According to a first provisional calculation of the yellow Number – a collective which assigned as mission of operating a calculation amongst participants thanks to referents present on the ground – 87,701 people expressed for act 11 of the yellow Waistcoats, in France, at 18:00, on 161 listed communes. 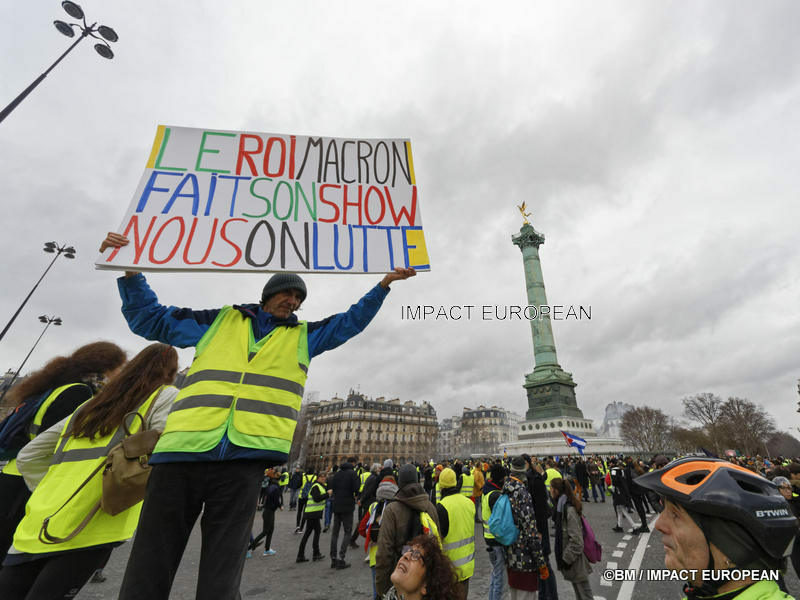 Approximately 69,000 yellow waistcoats expressed Saturday in all France for their eleventh consecutive Saturday of mobilization, in fall compared to the 84,000 demonstrators listed last week, according to the figures published by the ministry for the Interior. 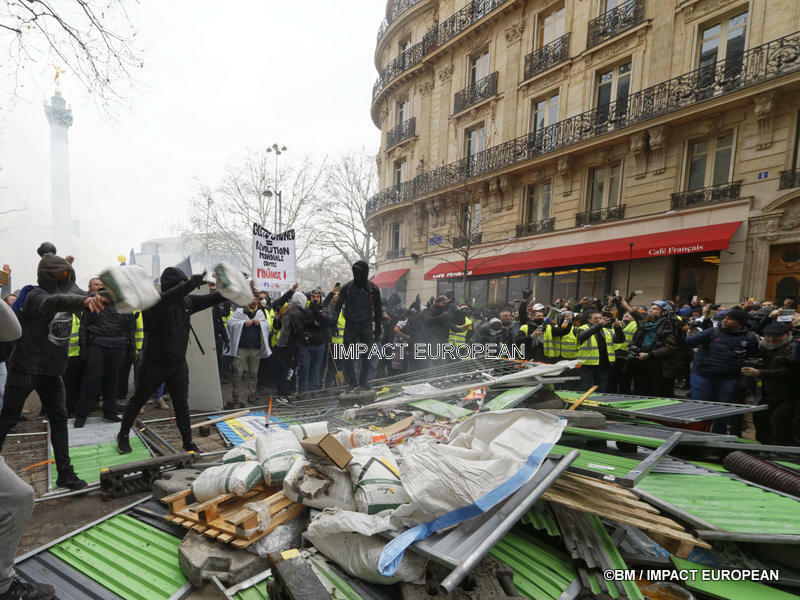 In the center of the French capital, incidents burst place of the Bastille, symbolic system high–place, place of convergence of several processions of yellow waistcoats. Around 16:00, the police made use of tear gas and of a water cannon to push back demonstrators who threw projectiles to them and adapted plant equipment, in a street close to the place. Other gatherings took place in province Saturday. 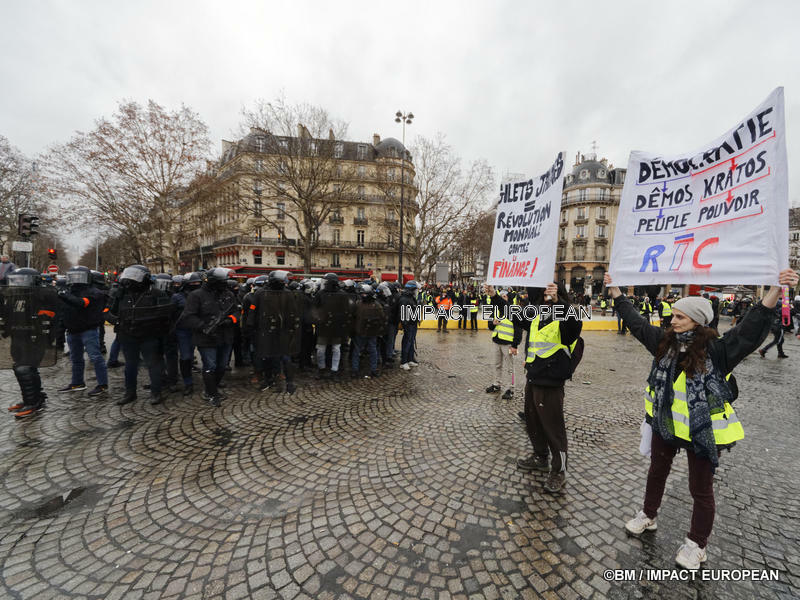 Several thousands of demonstrators were listed in Bordeaux and Toulouse, two cities of the south–west of France which are bastions of the protest. 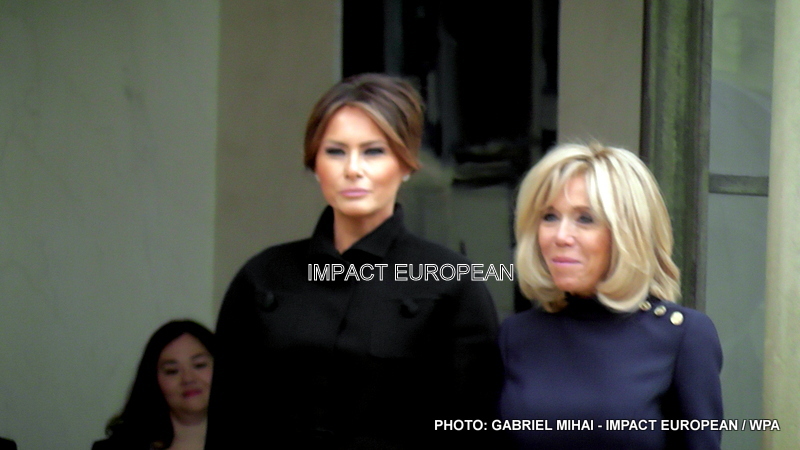 Incidents were announced in Normandy, in Evreux, with degradations in front of the seat of Banque de France and aiming at buildings of the municipal police, according to the authorities. 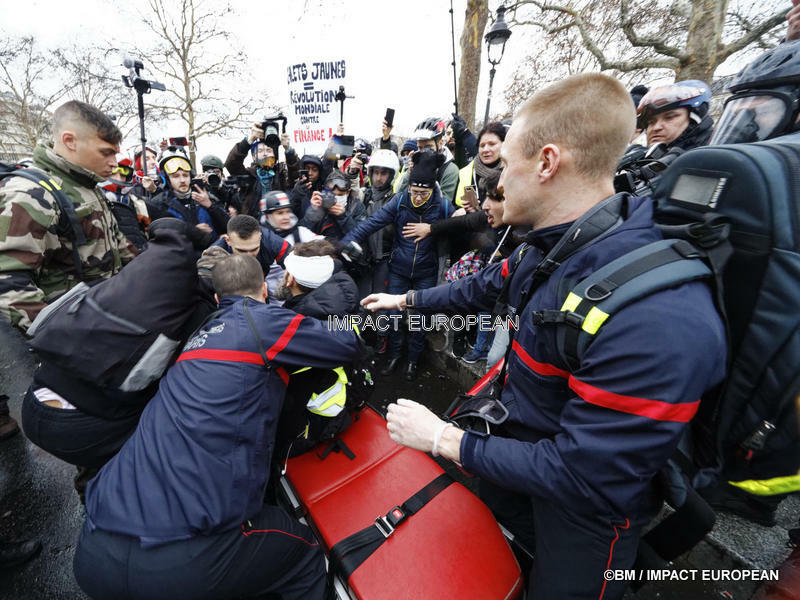 In middle of afternoon in Paris, the place of the Bastille, place of convergence of four distinct processions, was plunged on several occasions in tear gas clouds and was flown over of a helicopter. The police also used a water cannon and grenades of désencerclement to push back demonstrators who caillassaient them. 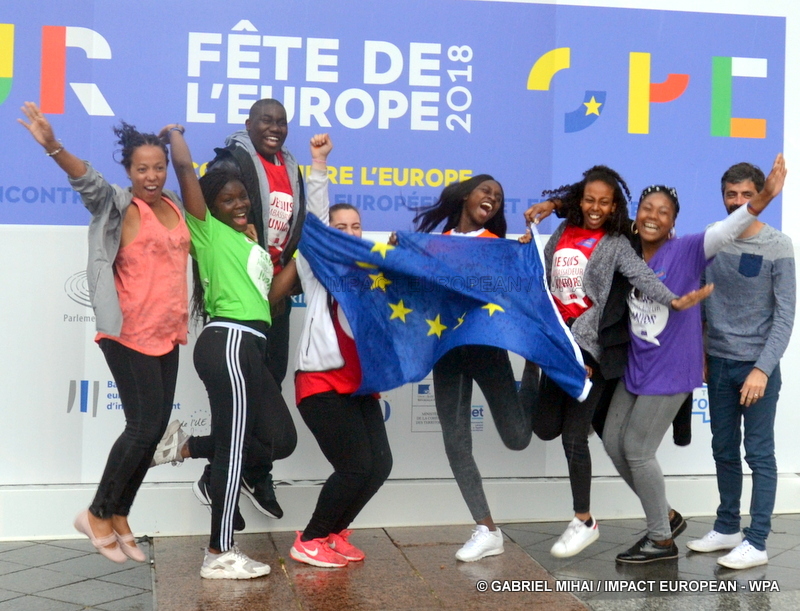 A known figure of the “yellow waistcoats”, Jérôme Rodrigues, wounded in an eye by a projectile whereas it was vis–a–vis police, was evacuated by the firemen of the heart of the place, then hospitalized. Jérôme Rodrigues, was seriously wounded with the eye Saturday afternoon, place of the Bastille in Paris. 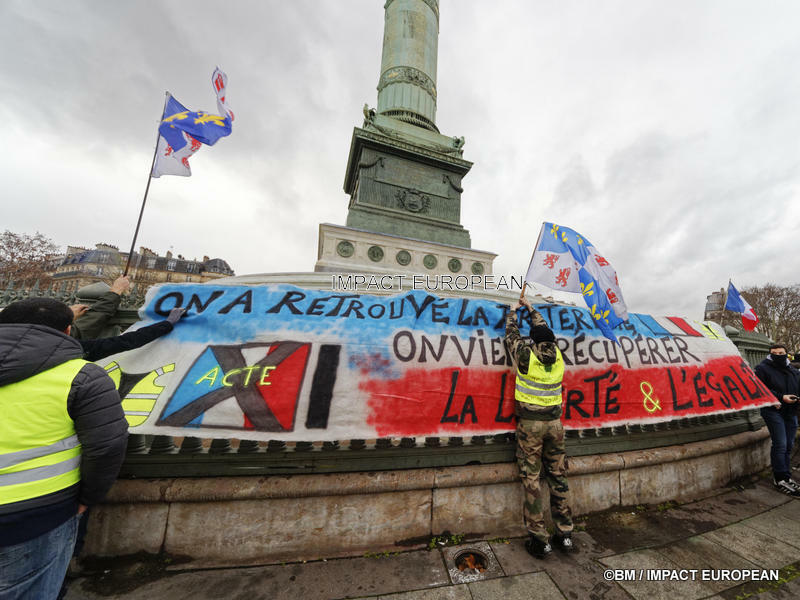 Saturday around 16:40, the tension assembles place of the Bastille between demonstrators “waistcoats yellow” and police, actually, they are not yellow waistcoats, there are people who come to degrade the street furniture, “they are breakers”. First observations of investigators show that a grenade of désencerclement explodes then just with the feet of Jérôme Rodrigues, which appears besides clearly on the video that it was realizing and to diffuse live on Facebook, at the time of the accident. “All occurs very quickly. Me am launched a grenade and I am caught a ball. I was doubly attacked. A grenade with the foot and the ball”, ensured LCI Jérôme Rodrigues, which carried felt sorry for. According to its lawyer, it is not that grenade which would have caused the wound, but well the shooting of a ball of defense at the same moment. “There were both. 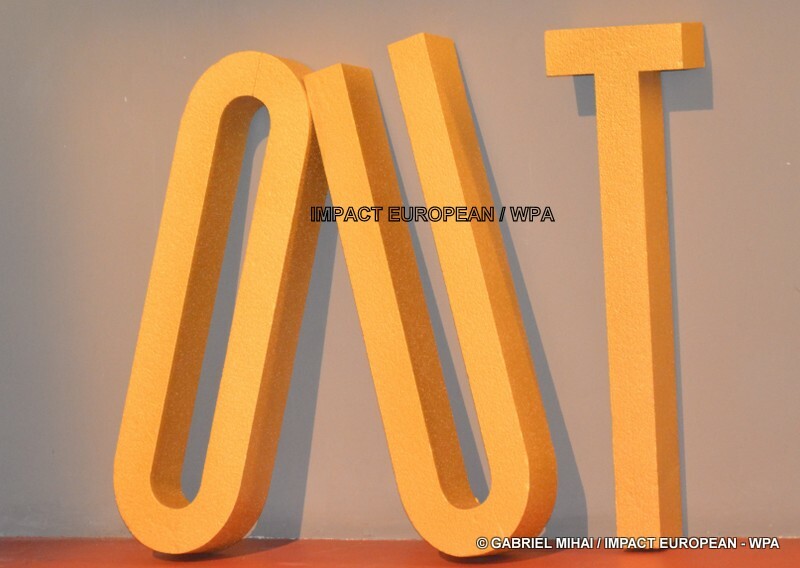 Shooting of grenade and shooting of Flash–Ball, simultaneously”, explains to Europe 1 Master Philippe de Veulle. “The glares of the grenade are out of plastic and make three to four centimetres in diameter. If you look at the brand with the eye, you see very well that it is more one Flash–Ball which the rubber glare of a grenade”, he supports. “I have other testimonies which are less direct but much of people saw the shooting of Flash–Ball”, the lawyer ensures. Lastly, he adds that a ball of defense was collected on the spot by the close relations of Jérôme Rodrigues and that it will be given to the investigators to be analyzed.